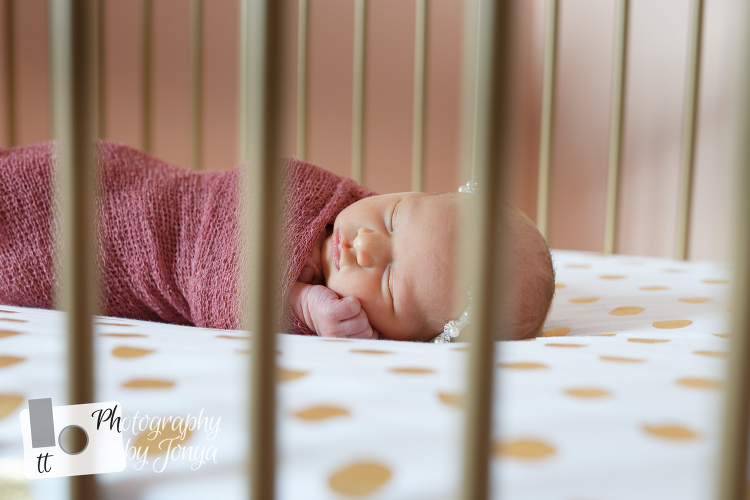 In home newborn photography is becoming more and more popular. More clients are looking for a session that is less posed and more natural. This is especially helpful when you have a beautiful nursery to showcase. In this case, there was a beautiful gold crib. I am in love with the crib sheet… white with gold polka dots. 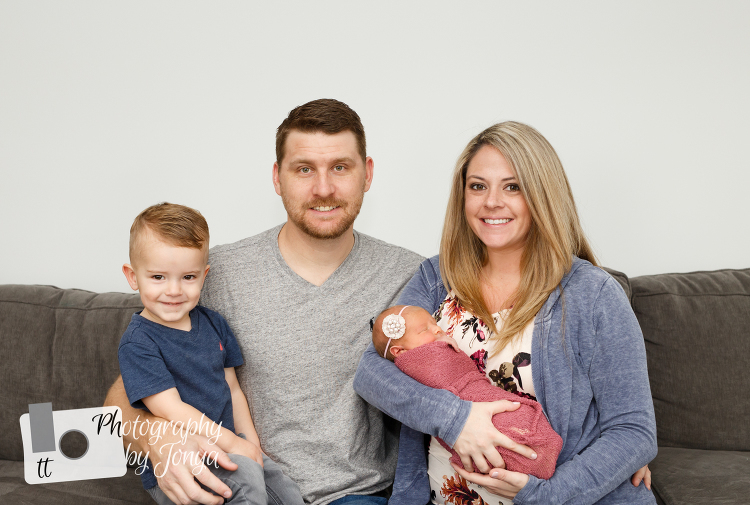 These lifestyle newborn sessions are much easier for families, especially families in which there is a big brother or sister. 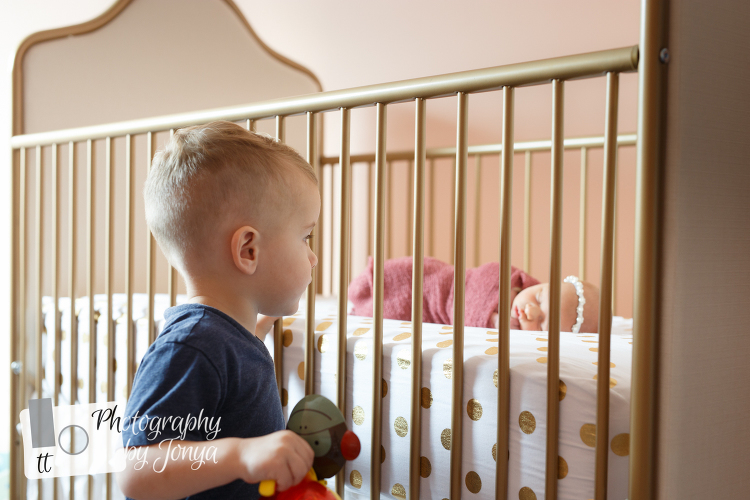 In home sessions allow for more flexibility while the toddler sibling is adjusting to having decided attention. We allow the siblings to participate as they want rather than being rushed and forced. In this session, it worked out perfectly. We were able to get some family photos at the very beginning and then let big brother come in towards the end. With this session mommy was able to get her wedding dress out so that it could be a part of the newborn session. The dress was stunning…. it was a blush pink with beautiful details. It really matched this sweet girls skin tones. Pink is absolutely one of her power colors. It was so much fun to work with this family again. I worked with them a little less than a year ago for big brothers first birthday family and cake smash session. And to think that he is already a big brother is just awesome!! He will get the hang of it in no time at all.